The Kharkiv-based university trains military pilots. 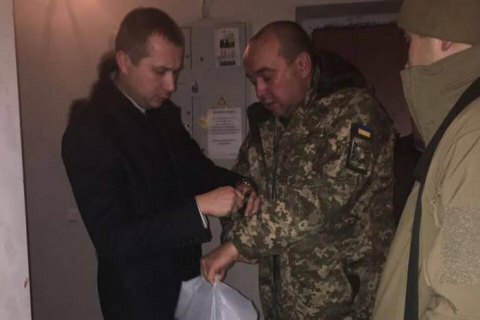 The military prosecutor's office has detained the head of the Kharkiv-based National Kozhedub Air Force University, Maj-Gen Andriy Alimpiyev, on suspicion of embezzlement of 2.4m hryvnyas (91,000 dollars), Prosecutor-General Yuriy Lutsenko said on Facebook late on 17 November. The prosecutor's office will demand his arrest and suspension. The university trains military pilots, navigators, air defence troops, radio technicians, aviation support engineers and others.